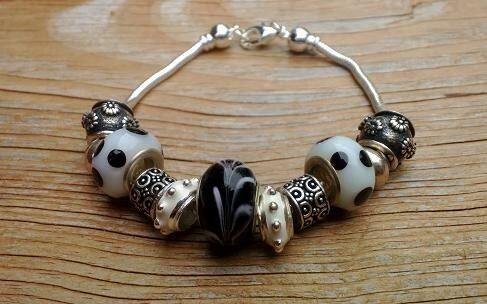 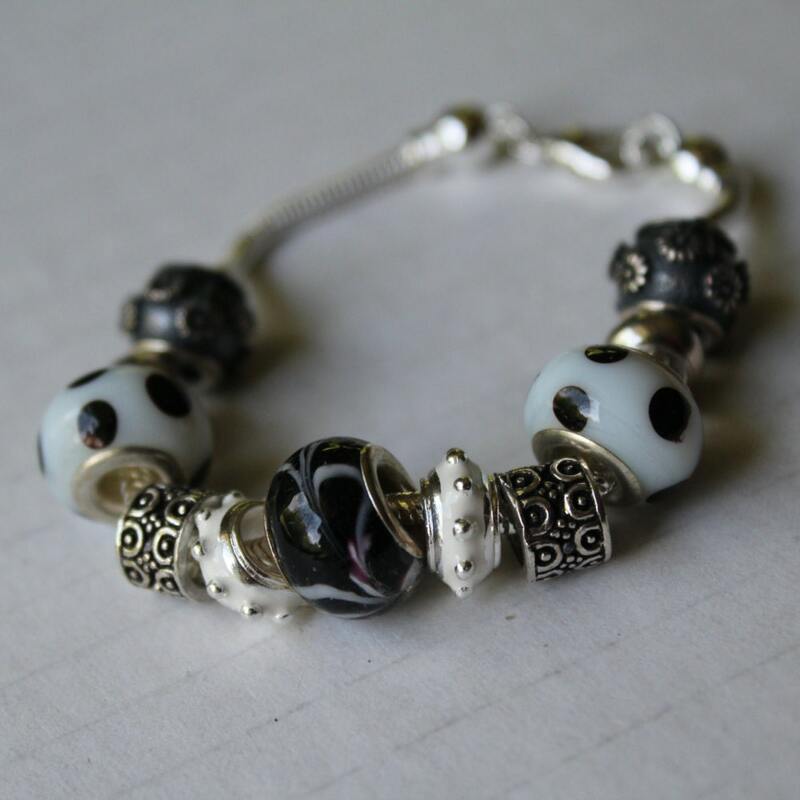 A sophisticated combination of black, white, and silver tones... this bracelet has lampwork, glass, enamel, and silver-plated beads. 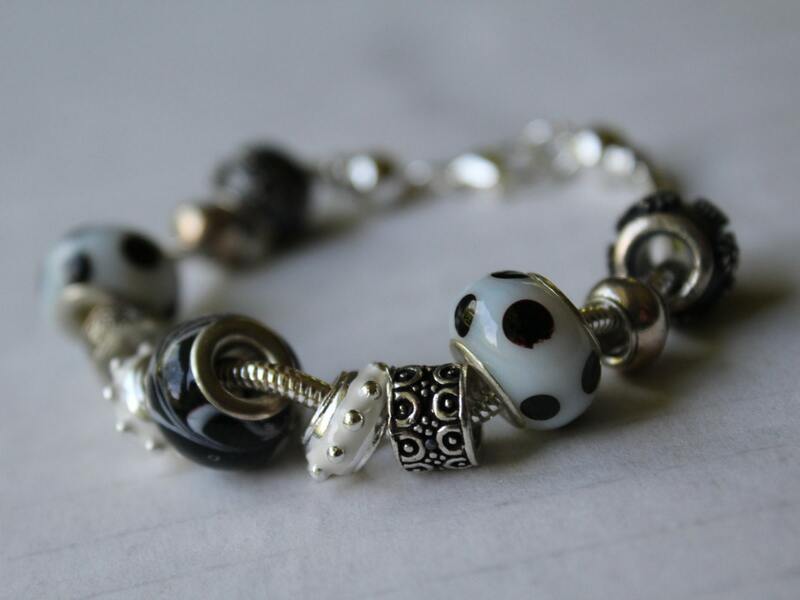 The bracelet shown is a silver-plated snake chain that measures 7.5 inches in length and has a lobster-claw clasp. 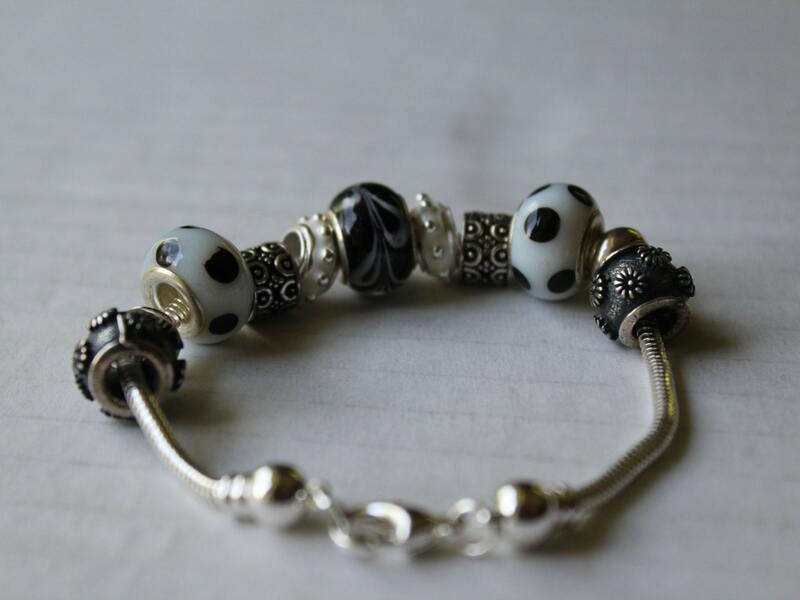 Its neutral colors make it easy to wear with anything! 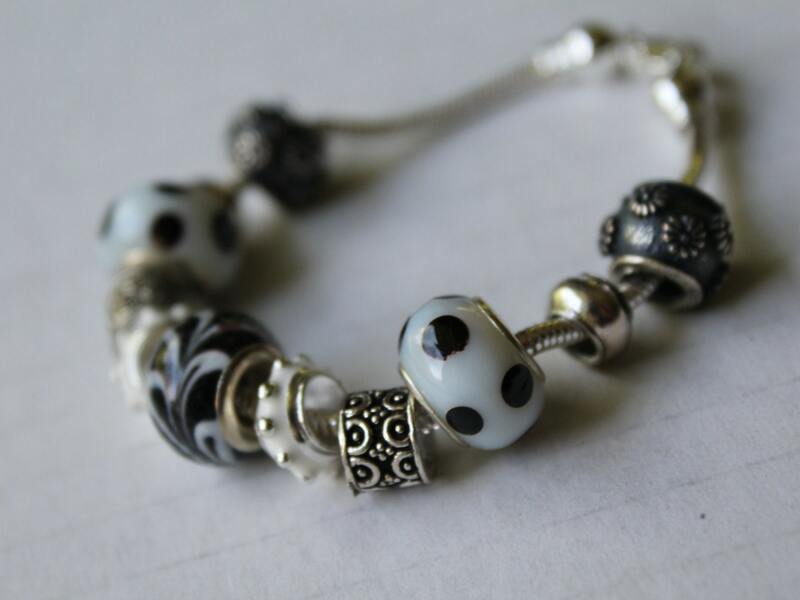 A fun, trendy bracelet that is sure to catch some eyes!